The finalists for the 2019 Kurd Laßwitz Preis have been posted. 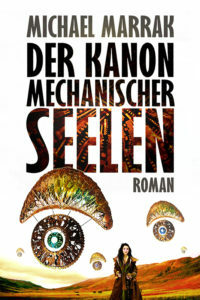 The award winners will be announced November 2 at the 11th Penta-Cons, a literary symposium on science fiction to held in the Palitzsch Museum of Dresden, Germany. The winners of the 2018 Kurd Laßwitz Preis have been posted. The award is given for works written in or translated into the German language and published during the previous year. Created in 1981, it is named after German author Kurd Laßwitz. The awards will be presented September 22 at ElsterCon in Leipzig, Germany. Update 06/12/2018: Corrected Short Prosa winner per comment. The 2017 Kurd-Laßwitz-Preis winners were announced on March 31. 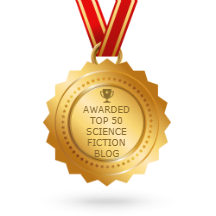 The award, named after early sf author Kurd Laßwitz (1848–1910), has been given since 1981 to exceptional German sf works and translations. For more information (in German) see the official site here. The translations of the category titles and citations are via Nina Horvath at Europa SF. The nominees for the 2017 Kurd-Laßwitz-Preis were announced on March 31. Markus Rohde and Andreas Mergenthaler from the publishing house Cross Cult Verlag and the authors Bernd Perplies and Christian Humberg or the first official Star Trek novels in German original language. The winners of the 2016 Kurd-Laßwitz-Preis, the best-known sf award in Germany, have been announced. The translations of the category titles are via Nina Horvath at Europa SF. The shortlist for the 2016 Kurd-Laßwitz-Preis, the best-known sf award in Germany, has been announced. The winners of the 2014 Kurd Laßwitz Preis, the best-known sf award in Germany, have been announced.